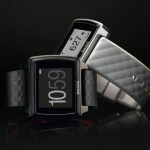 The Intel Basis Peak is a fitness oriented smartwatch coming from a joint collaboration between Intel and Basis. 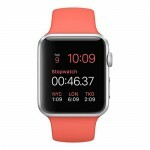 It features a ton of fitness and health tracking options such as an optical heart rate sensor, Galvanic skin response monitor, skin thermometer, and 3-axis accelerometer. The things it can track include sleeping patterns, sweat output, heat dissipation, blood flow, heart rate and more. It will pair with Android and iOS devices, so anyone can use it. Unfortunately, no release date or price have been announced yet.